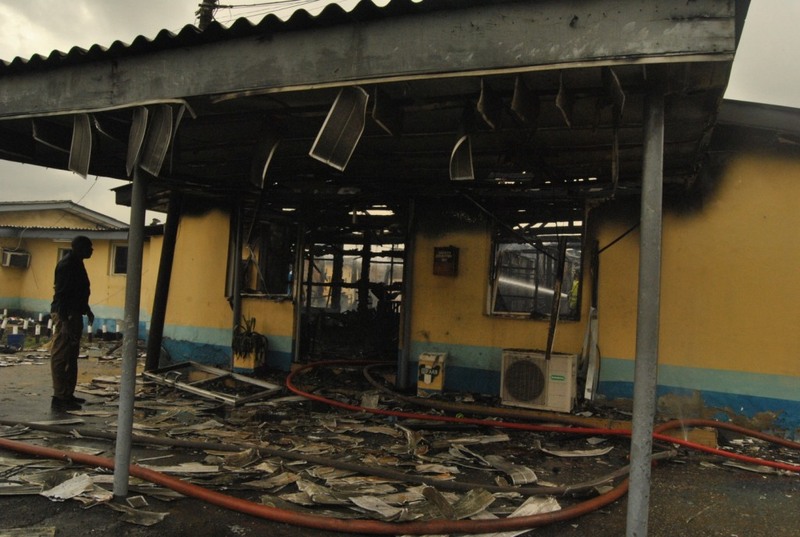 To unravel the immediate and remote cause of the fire incident that gutted three departments in the Federal Airports Authority of Nigeria, FAAN on Tuesday, April 11, the management of the authority has set up an investigative panel to investigate the incident. Speaking at the FAAN headquarters, the managing director of FAAN, Saleh Dunoma disclosed that in addition to the panel’s investigation, the Police will also carry out an under cover probe into the cause of the inferno to establish theories of conspiracy and possible sabotage. Dunoma noted that it was premature to give the cause of the fire as it could jeopardise ongoing investigations. He gave the affected sections as the Director of Commercial Services office, audit and corporate communications departments. FAAN boss said the departments have been cordoned off to allow the relevant authorities carry out their investigations without tampering with any evidence . Workers using offices in the affected sections will be relocated to other sections in the building to allow them carry out their duties, he said . Dunoma stated that the fire incident, will not lead to shutting down down of the headquarters. Commenting on efforts to build a befitting headquarters for the authority, Dunoma said the architectural designs are undergoing selection . Dunoma explained that : ” FAAN new headquarters is on going . We are looking at the designs , and the architects have submitted proposals . We are at the process of selecting designs and a consultant for the project . It is a difficult decision to take and we regret any inconvenience caused so far caused”. In his words: ” We are all dejected about this fire incident , as you can see the workers are not happy . But, FAAN is not shutting down , we have set up a panel and we will allow them do their work. This is the reason we cordoned off the affected sections of the building . The fire which started about 9.00 am was said to have been triggered by power surge, throwing the complex into darkness . 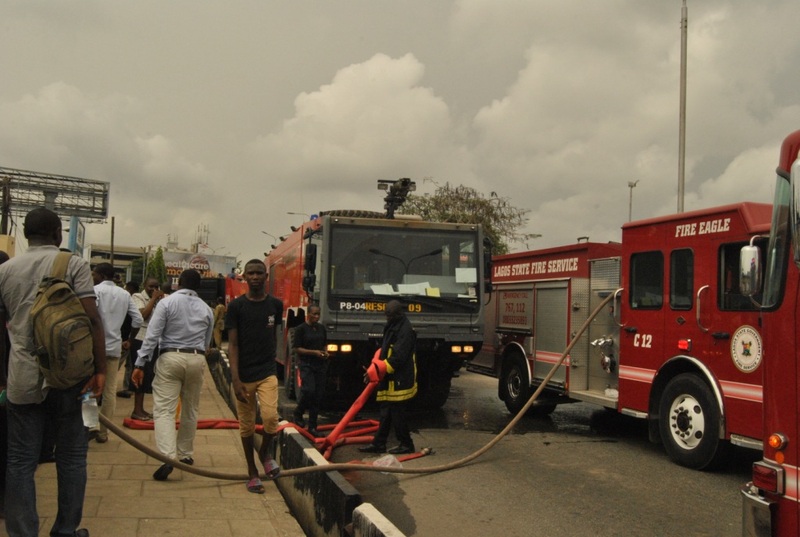 But, FAAN fire rescue fighting team in collaboration with the Lagos State Fire Services mobilized to put out out the inferno after breaking into many offices . A section of the headquarters has been cordoned off forcing many workers that had reported for duty to close for the day . The panel is made up of the Nigerian Civil Aviation Authority, NCAA, Accident Investigation Bureau, AIB, Department of State Services, DSS, Nigeria Police, and personnel of its legal , safety and aviation security departments.